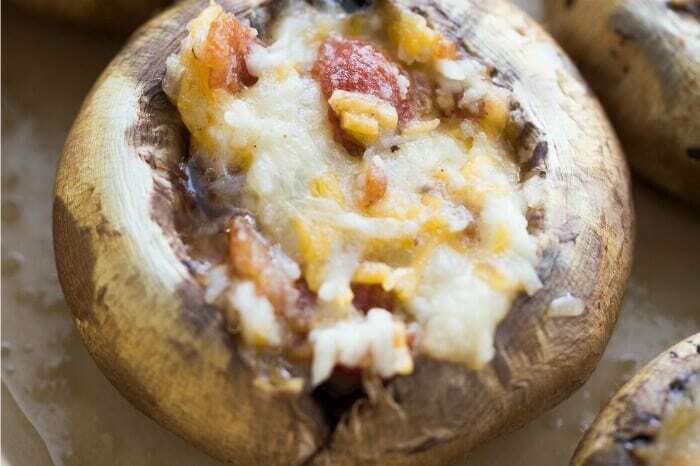 Stuffed Mushrooms are the perfect make-ahead appetizer recipe. Just pop them in the oven when you’re ready to serve. Yum! 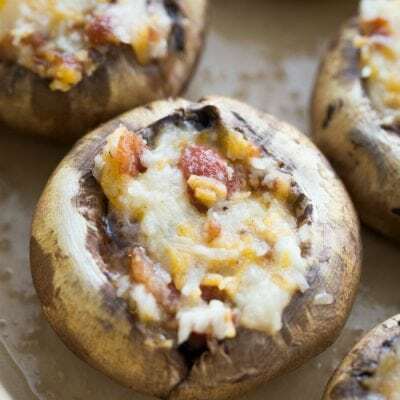 I first wrote about these Stuffed Mushrooms when I was 34 weeks pregnant with my 4th kiddo (unknown to me then, but my only girl! ), and I was utterly and thoroughly obsessed with all things bacon and cheese. Truth be told, I still am. Stuffed mushrooms are the perfect make-ahead appetizer. We like to serve them alongside sherbet punch, a tower of chicken nachos, and some southwestern eggrolls. Mushrooms – I like to use basic white mushrooms or baby portabello mushrooms for this recipe. They’re the perfect size to pop into your mouth in one bit. Bacon – We cook our bacon in the oven ahead of time and keep it in the freezer. It’s nice to always have bacon on hand when you need it! Cheese – Make sure to use finely shredded cheese. You can shred your own or grab a bag of Mexican blend cheese from the deli. Mayonnaise – A little bit of mayo goes a long way to make the stuffed mushroom filling super creamy and delicious. Garlic salt – don’t skip the finishing touch of garlic salt. It really adds the perfect end note! Can stuffed mushrooms be prepared ahead of time? Stuffed mushrooms can be prepared ahead of time. You can prepare the filling and set it aside in the refrigerator for when you’re ready to cook the mushrooms. Or, you can actually stuff the mushrooms and then cook them when you need them. The latter is my preferred method of preparing stuffed mushrooms ahead of time. You can even keep them in the freezer. Stuffed mushrooms can be reheated as leftovers and will still be tasty, but if you are preparing them for guests, I do not suggest reheating them. Instead prepare them ahead of time and keep them in the refrigerator or freezer until you are ready to bake them. Can stuffed mushrooms be frozen? 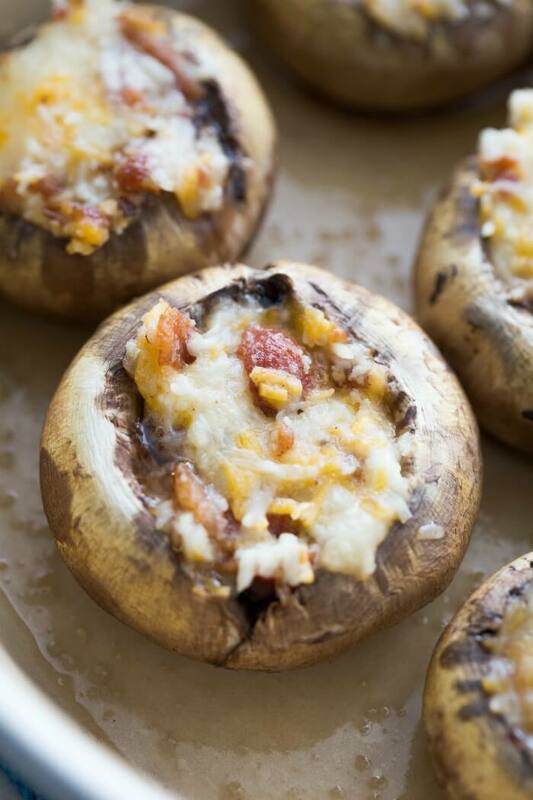 Stuffed mushrooms can be frozen or refrigerated until you’re ready to bake them. I love that you can make up a batch ahead of time and stick them in the fridge or freezer until you’re ready to bake and serve. How convenient! Right now I have a whole mess of stuffed mushrooms prepped in the fridge so I can make small batches whenever the next craving strikes! 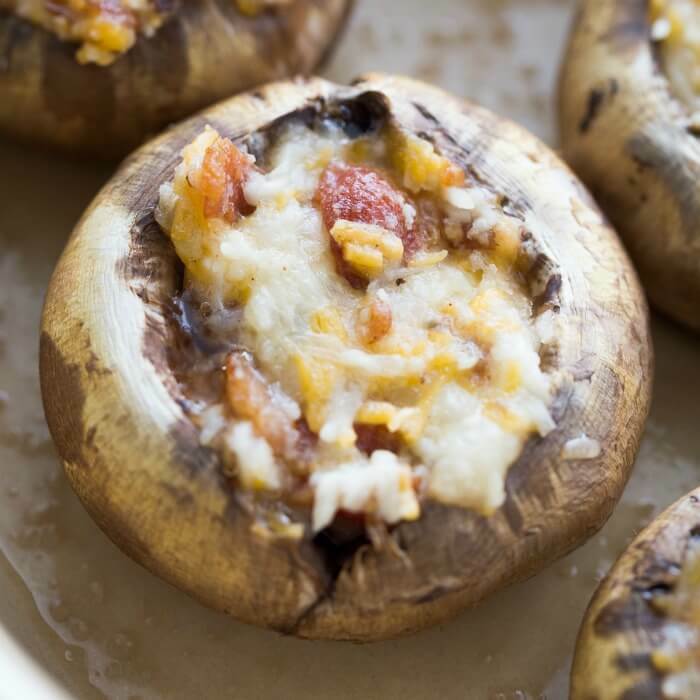 Stuffed mushrooms are healthy depending on what diet you follow. They are gluten free, grain free, low carb, and kept compliant. They’re also delicious and I believe that even if they’re not diet compliant, we should all be able to enjoy good things in moderation! 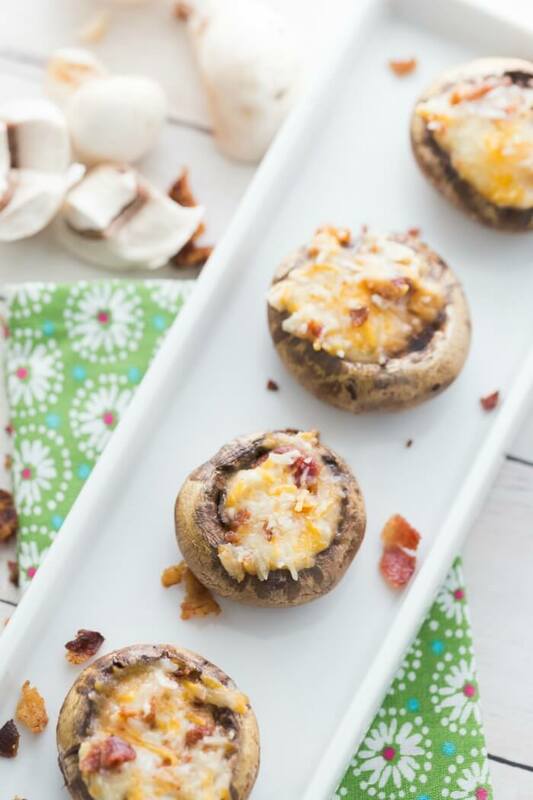 The stuffed mushrooms in this recipe are keto. 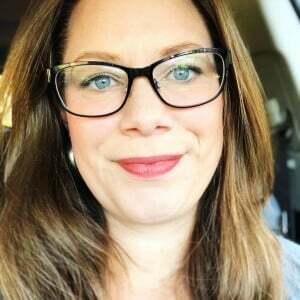 They are low carb, high fat, and have no added sugar or starches. If you are following the keto diet, stuffed mushrooms are a good choice! 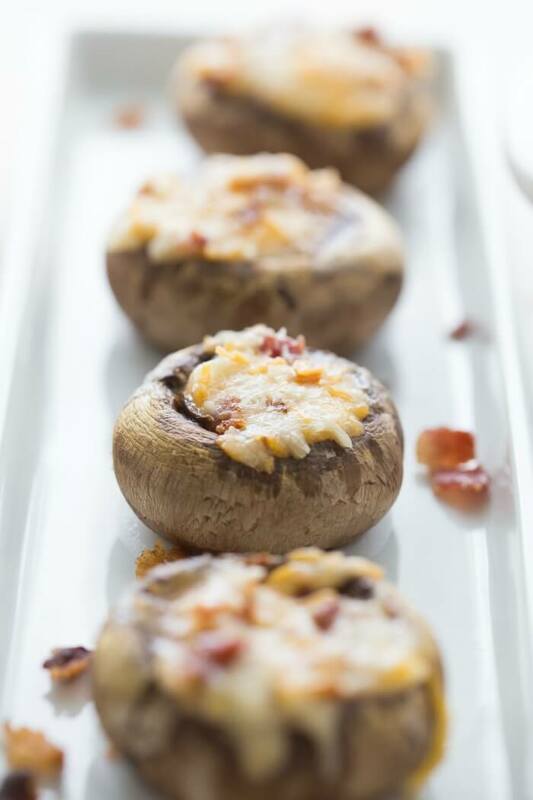 There are so many good things to serve with stuffed mushrooms. If you’re serving them as an appetizer, I like to follow them up with something lighter, like a strawberry spinach salad. For the main course, crispy chicken thighs, broiled steak, or our meatloaf recipe would be delicious. Mashed potatoes and roasted broccoli would make great sides, and for dessert a bright key lime pie, or some raspberry cobbler. What type of mushrooms for stuffed mushrooms? The best mushrooms for stuffed mushrooms are the regular white mushrooms you find in the produce section of your grocery store. We also like to use baby portabello mushrooms when they are available. 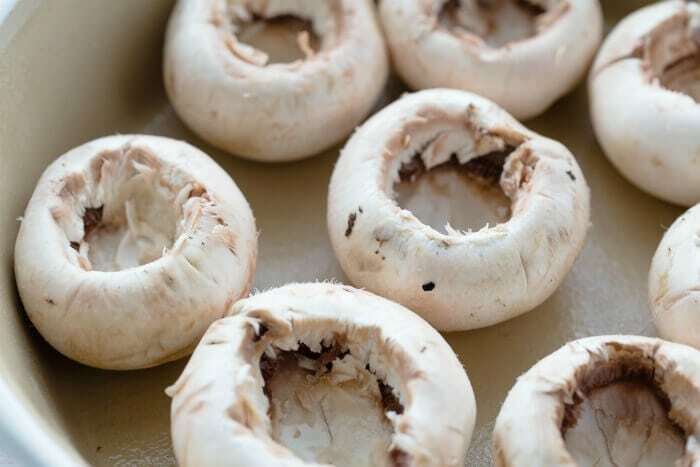 You want to use a mushroom that is sturdy enough to be baked, and also has a nice cavity when the stem is removed, so you can fill it with lots of yummy ingredients. What cheese for stuffed mushrooms? 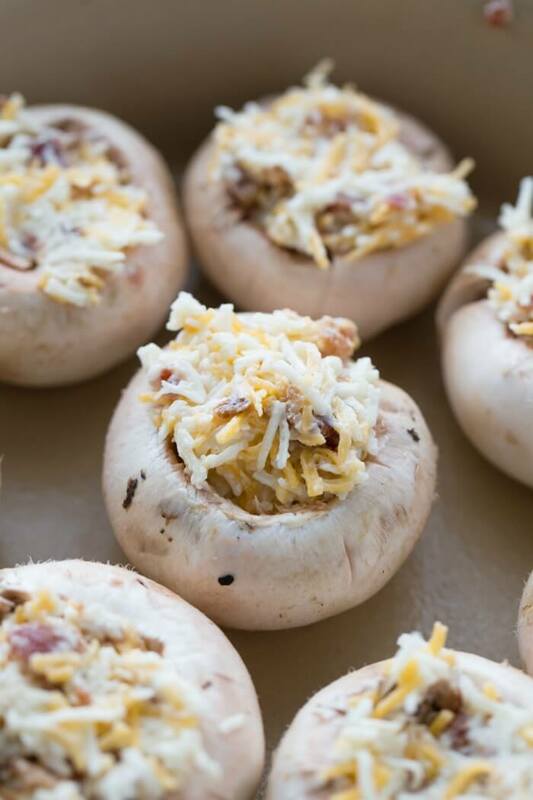 A shredded cheese blend is my favorite choice for stuffed mushrooms. Usually a cheddar blend – our market calls it the Mexican blend, I’ve also seen it labeled Fiesta blend. You could also use just cheddar if that’s easier. Make sure the cheese is finely shredded so it mixes well with the other ingredients and melts evenly. Stuffed Mushrooms are the perfect make-ahead appetizer recipe. Just pop in the oven when you’re ready to serve. Yum! 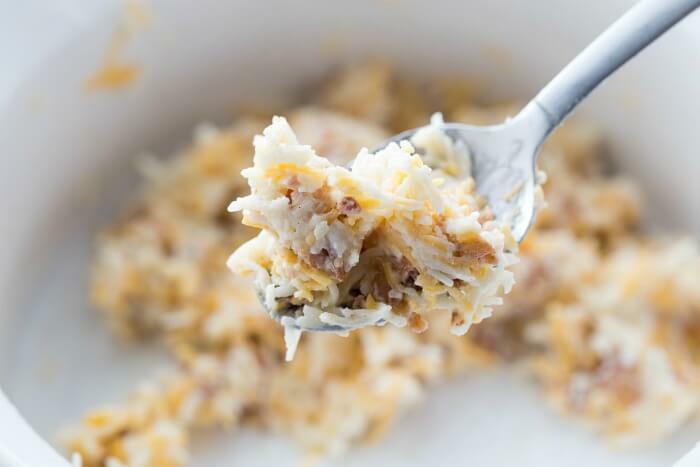 In a bowl mix together the cheese, bacon, and mayo. Scoop ingredients into mushroom caps and place cheesy side up in a casserole dish. (If you're making ahead of time, throw them in the fridge or freezer now). Sprinkle caps liberally with garlic salt and bake at 350 degrees for about twenty minutes, until cheese is bubbly and starting to brown. I tried these tonight and they were a hit!!!! yay! i'm so glad you liked them!!! i just ran out of my fridge stash and am sad 🙁 LOL! These look absolutely delicious and are just what I’ve been looking for! I can’t wait to serve them! These mushrooms are filled with so much good stuff, I’m totally happy just eating them for a meal! Nothing wrong with that, right?? Thank you for the recipe! What do you do with the removed mushroom stems? Thanks you.